"Some night when the kids are sleeping, i'll hook it up, make sure everything works, install the Zelda game and then box it all back up and stow it in the closet until Christmas. Boy that's going to make me antsy." Just as an FYI, you WILL need a TV when doing the initial setup, because it displays things there that you have to match on the GamePad. Once you have it updated and ready to go though, you can disconnect it from the TV and play many games on just the GamePad...if you're ever itching before Christmas to play something. Thanks for the comment and feedback, and I'll probably be playing you in a chess match or two, or three...hundred or thousand over the next few years maybe. 2DS is in play for me. I just picked up Fire Emblem and SMT4 (e-Shop promotion FTW) and I'll need a system to play them on by the end of the year. Since most DS-type gaming would actually be done at home anyway (smartphone is certainly good enough when out of the house) portability is not a huge factor. The large screens of the XL are mighty tempting though so it might just come down to the wire...lots of nice deals will surely be available come Nov-Dec! Wii-U still off the radar for me. Wonderful 101 does look wonderful and the expected price cut has dropped a bit earlier than expected but will probably take Mario Kart and Smash to edge me...and even that might not be enough with my changed gaming habits. Platinum-developed StarFox would almost certainly push me tho that fantasy would be two years away at the earliest. I have played The Wonderful 101's Wii U demo, and found it insanely crazy, in a good way. I need to put some more time in it though, to really learn and understand what is happening. Bean 1 (our oldest) has even played it, and ran around in it. He didn't complete much of anything, but just ran around the level doing random things in it instead. Speaking of having a smartphone (I don't), but if you are even a LITTLE bit interested in chess, you should download Pure Chess on it. It just released on mobile platforms, and it's a free download for the basic game, and very well priced to unlock extra features and boards/pieces. But yeah, the 2DS makes our choice more interesting for sure. I definitely want Bean 1 to be able to hold it and see if he finds it comfortable, before we decide on which route to go there: 3DS or 2DS. Yup. Getting Wind Waker HD bundle now that it will be $300. And I agree Nintendo made that fantastic move at the right time, as they need it more than ever. Thanks for stopping by and the feedback! When you do get your Wii U, feel free to send me a friend request on the system. My NNID is Coffees. 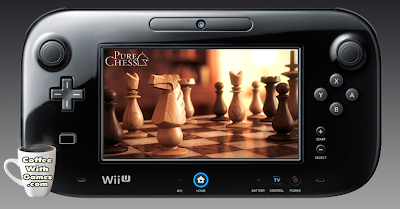 Also, do you have Pure Chess downloaded now to a smartphone or tablet type device, or interested in the game? Always a pleasure. I'll remember to do that. I don't have Pure Chess downloaded yet, but I am interested in the game, as I like playing chess though many people in my family don't know how so I don't get lotta experience playing. But I'm looking forward to that being one of my first games I download, and also downloading Earthbound and many others, as I never got to play that when it first came out since I was born the year Earthbound came out. Ironic, huh? LOL. Heard that the game is awesome though, regardless that it's like $10 on the eShop. I never played EarthBound, and haven't downloaded it. 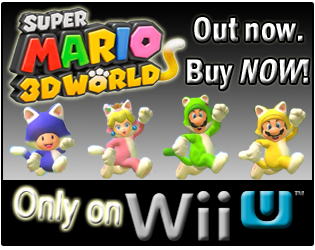 I know it seems to be really popular though, I guess popular enough to increase its price on the eShop anyway. It's currently sitting in the top 10 of the "Recent Best Sellers" list on the eShop. In that case, I'm definitely getting it first thing once I get Wii U. Can't wait for the holiday season. Nintendo's making a come back; just like they always do. Sounds good to me. :) now - you don't have Pure Chess on PS3 yet do you? I don't have Pure Chess on the PS3, and the PS3 isn't used for gaming purposes right now due to its location. Which, being that it's heading to the Wii U with cross-platform support, I'll go that way and the mobile version which I'm currently using and enjoying a lot. I hadn't seen Knytt or at least I didn't remember it, but I like what I see. Has a feel somewhere between Limbo [with color], Nightsky and other small platformers I've played. Definitely interested for 3DS. 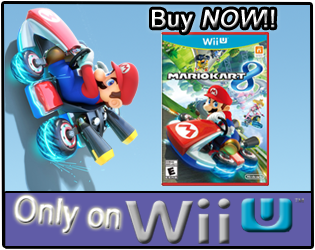 Like I put on the other post the Wii U bundle/price drop is tempting, will have to see how that plays out a bit. @Andrew Chen: That 2DS price point is really nice, though I'd recommend giving it and the XL some good hands-on time. The size on the XL (overall and screen), how it fits in my hands and how the 3D looks is just perfect for me. The XL's screen is a beast as compared to the original. Also agree with Nintendo fan 4Lif3, Earthbound would be one of my first purchases. I think you commented on DigitallyDownloaded that you had seen info about the new Wii U Zelda bundle maybe including both Nintendo Land and Wind Waker HD, or the information wasn't very clear on it? From the GameStop pre-order page and the press screenshot of the bundle, Nintendo Land isn't mentioned anywhere in the description for the new bundle or on the screenshot of the box. Which, I find a bit odd because Wind Waker HD in the bundle isn't even a physical copy, it's simply a code to download the game from the Wii U's eShop. I mean, is Nintendo really trying to use Wind Waker HD to show off the GamePad features, instead of Nintendo Land? I think that's a bit odd at this point really. I understand this Wii U bundle is geared more at Zelda fans, and maybe they'll announce another bundle releasing at the same time...or just drop the current Wii U Deluxe Bundle with Nintendo Land down to $299.99? I guess we'll find out in a few weeks how it all works out. Thanks for the comment and feedback on this! Earthbound is flat-out hysterical! It truly is just a fantastic game, and it is quite simple to play too. I highly recommend giving it a go, especially on the Wii U.
Knytt Underground is very Metroid-ish, in a sense. It is a good game, but it is a bit too open-ended - it is easy to get really lost in the game, as it is MASSIVE. It is still definitely worth giving a try though. Nightsky is nothing short of brilliant. I purchased it the day it went on-sale on Nicilas' website. Still love firing it up periodically. Now I see why it reminds me of night sky, same dev. :-) Too bad no 3ds version is planned. The price reduction does put me one step closer to a Wii U purchase and I really want a 2DS, for whatever reason is beyond me. I love Nintendo's portable consoles and I want them all. Having so many friends in the industry that are working on PS4 titles, I simply must purchase that console before a Wii U. I'm not limited financially on what system(s) I can purchase, but I am severely limited on the amount of time that I do have to play these consoles. I've been experimenting a lot with pixel art and programming here lately, and I like seeing how they did it in a lot of the older games...which is one reason I almost downloaded it. Thanks for the feedback on it! I was planning on double dipping for Mutant Mudds Deluxe, but won that in a contest. But yeah, it's not super often I'll buy the same game multiple times. "...but I am severely limited on the amount of time that I do have to play these consoles." This is one of the reasons I have enjoyed the Wii U's Off-TV Play feature so much. Having little ones running around, and being able to play a game with Bean 1 (our oldest) while Bean 2 (youngest) watches a cartoon is a nice option to have. I even played through a few missions in Assassin's Creed III when they were watching a show, and I would use the GamePad with a headset sitting next to them. Same thing I have done with Black Ops II, occasionally. It's kind of interesting you mentioned friends working on PS4 titles, any one game in particular you're looking forward to on it? My area has EPIC and Insomniac as big studios, and they are both (now) working on Xbox One games. I was actually surprised that Insomniac went that route, as I thought they were pretty solid Sony only developers. I just haven't heard much in my area on the PS4 front yet from the larger studios, though EPIC has basically been a Microsoft developer. We do have a Ubisoft studio that usually concentrates on the Ghost Recon games, but those are usually multiplatform. Then there are other smaller studios in my area that do a lot of mobile games. Some are now looking at Wii U/3DS crossovers, because apparently the financial and port setup Nintendo has been working on is attracting them. I expect once Sony gets the PS4 rolled out, that they will look at it as well though. I will probably end up with a PS4, before the Xbox One (if ever). It's kind of weird really, because in the GameCube, PS2, Xbox generation, I started with the GameCube (it was $100 cheaper at launch), and then went to the PS2 and Xbox last. But the Xbox became my most played console then, even though I got it after the other ones. I didn't even get a 360, and don't plan on it now. I believe the regular deluxe is also getting a price drop on the same date. See below. I guess that makes sense to offset the lack of Nintendo land, though NL did seem to be a good 'party game' option to feature the gamepad. I'd probably go for the regular Wii U @299 and get wind waker via physical copy. Same here. Now that retro city rampage was announced for 3DS I have another dilemma. Haven't gotten back to it and played it on Wii as much as I'd like, but portable form would be nice. I hear it's zoomed in a bit and has some other changes, may have to see a video on the device. I was just talking up the off-TV play today to some friends thinking about it for xmas. Though admittedly I didn't have much to say about ps4/xb-one. Need to re-learn a few more facts again. Still am disappointed by the gamepad VC situation, hopefully they'll get more on there soon. Yeah, I'm not sure if Nintendo is planning on keeping the regular around in its normal fashion, or if they were using the Zelda bundle to phase things out, and change it up for the holidays. Like, apparently, the Wii U Basic Set is DONE. IF you are getting the regular Deluxe Set though, you might want to check out the ZombiU bundle if it drops down to $330. Thanks for that link and feedback! I haven't followed Retro City Rampage that much, but do know there was an issue on getting it to the Wii for a while or something? Hopefully it finds a lot of success on the 3DS though, and makes the Wii issue like a bump in the road. Um, you know, I don't remember if it does support controllers natively, or not. I know that I use a third party program to play it with a controller, but I also didn't purchase the game on Steam, either. I've got it for the Vita and the PS3, and with those consoles, the handheld version has the option for two different levels of zoom. One level keeps it closer to the player and the other allows for much more freedom to see the environment, much like what the home console version offers. Sadly, iPad literally exploded at the same time and a year later when the Wii U released, the tablet was a mainstream device. Still, I find the off-TV play highly attractive and I've always said that the vast amount of control option and variations would find the console offering something that none of the other consoles could possibly compete with. It will too, it is just taking it a bit longer to get there than we would have hoped for. On the PS4 front, I'm actually a really big fan of the racing genre, so Drive Club is a big deal for me. I'm a big fan of Evolution Studios, and its MotorStorm franchise, so it is going to be really interesting to see what all it does with this new type of game. Outside of that, I'm actually looking forward to Second Son. I'm not a fan of the genre, but I really enjoyed the inFAMOUS titles, as the storyline and characters were just, well, really interesting. Other than that, as usual, it is all about the Indies: Ray's the Dead, War Thunder, The Witness, Witcher 3, Hotline Miami 2, Volume, N++, Velocity X2, etc. As for the PS4, I expect it to be like everything else, living up to about half of all the promises that we've heard, just as usual. Oh, and I did practically the same thing with the original Xbox. Started with the PS2 and the Gamecube - then Halo happened. Haha. Today, I'm sick and tired of Microsoft's core franchises and its treatment to indie developers on the Xbox 360 has turned me away from me spending my money on either its gaming consoles or its computers - I'm typing this on a Chromebook - I do not like the way that Microsoft does business, so I don't support it. I had heard about the talk, but not seen it! Thanks for sharing the link. As for your friend that designed those levels in Mutant Mudds, would that be Corbie Dillard? I followed the game a decent amount, and know he did (maybe still does?) write for Nintendo Life. I enjoyed the game greatly, completed it 100% on PC and Wii U. "On the PS4 front, I'm actually a really big fan of the racing genre..."
A friend of mine that has the PS4 already reserved, is a big racing genre fan. He has enjoyed the Gran Turismo series over the years. Since Burnout 3 on the original Xbox, there really hasn't been a racing game I've put a ton of hours into in recent years. On the inFAMOUS side, I have the first one, but haven't played it but for maybe 5 minutes. I got it as part of Sony's free game offering after they got hacked. As for the Microsoft sentiment, that's how I feel about EA...ever since they signed the exclusivity contract with the NFL back in 2004/2005. I said back then that I wouldn't buy a Madden football game again, until there some competition because I thought ESPN NFL 2K5 was a much better game and one at a much lower price. EA got rid of the competition and that has allowed them to basically continue selling their cookie-cutter NFL games every year for $60. I can only imagine what would happen if there was only one console manufacturer. There's a reason competition can be a good thing, as it should cause companies to want to produce better/interesting products and continue to be creative, and in the end benefit the consumers and the companies. I think it really was a lost opportunity for both EA and Nintendo. There is a vacuum waiting to be filled though, and I think it'll be interesting to see what happens on the sports side for the Wii U.
I thought that a "Play the game, watch the game..." type ad would have done well with the football fans...and they are ones that will drop money on stuff. Well, I was mistaken, just tried it with a 360 on Steam and it worked fine. Awesome! I've used various ones as well, but like when support is built in. The last thing I want to do is futz with some key mapping. Thanks for the link Chris. I heard about the presentation, but didn't know it was posted online. I have a great deal of respect for Brian and what he's done. Certainly seems like he's not going to release on a platform without it being a quality result. Will be interesting to see how it turns out on 3DS and hope it's a success. Originally I wasn't so sure about the zoomed part, but it may make some sense. Your character is awful small to begin with so maybe this will help see the detail of what's going on. ...and who am I kidding, I'll probably get it anyway. Coffee: As for the WiiWare version, I think it took extra effort and some of the fun screen effects were cut, but it's the same amount of core content. It's still a great game on the Wii. NFL 2K5 was the last football that I truly enjoyed as well. I say that, even though a friend of mine in an engineer on the NCAA and Madden franchises. I loved it on the Xbox and it was a game that me and my room-mates played to absolute death when it released. I don't like what EA did with the contract deal, which wasn't all EA, as the NFL played a big part in that too - if I remember correctly it was actually in the works prior to NFL 2K5's release, but that was a long time ago and my memory, well, it isn't the best in the world. With that said though, EA has done a few good things over the years, with the Infinity Engine being a major one. Also, the developer that make the games put a lot of passion into them as well, so I look at the positives in the situation there. Competition is the only thing that makes companies thrive to be the absolute best. I personally don't care for Microsoft, but I want it to thrive just as well as Sony and Nintendo. EA dropped the Vita release for Madden 25 as well, so it isn't just the Wii U that is missing out. I do agree that an advert like that could have been a great thing for the Wii U and I do think that EA should fully support the console in the early years. I think 3DS hasn't had one since it launched, which I do find odd on that front considering the install base now. "I don't like what EA did with the contract deal, which wasn't all EA, as the NFL played a big part in that too - if I remember correctly it was actually in the works prior to NFL 2K5's release, but that was a long time ago and my memory, well, it isn't the best in the world." I have even heard that the NFL is the one that supposedly wanted a single contract, and looked for the highest bidder. The NFL exclusivity contract is over this year though, but the NFL Players Union which EA has and gives them the rights to use the players' names, etc., is still exclusive to EA. So, technically...we could get another football game maybe with "NFL" in its title and the NFL teams, just not the player names. As for the Infinity Engine, another developer's football game, Backbreaker, did the more advanced physics and tackles back in 2010 with the Euphoria engine. It was the engine used in the Star Wars: The Force Unleashed games on the 360/PS3. As for the Infinity Engine in Madden 25, from one guy that's a big sports reviewer (PastaPadre), he said: "The Infinity Engine seems to have been downgraded not enhanced. There is a distinct lack of tackles appearing organic (or any impact between players or gang tackles) and instead you get an overload of frantic collisions and guys knocking into and off one another plus bizarre looking pileups. Everything is much stiffer than last year and even what was played back at E3." IF I was at Nintendo of America as soon as I knew EA wasn't supporting the Wii U (which was evidenced basically at launch) I would have immediately approached a company like NaturalMotion/505 Games to start working on a Nintendo Wii U football game to launch with the NFL season. The only issue with an NFL game without the players is that is won't sell very well. If I remember correctly, both Backbreaker and the Tecmo Bowl remake didn't explode the sales charts without the authentic player's filling the rosters. But yeah, I do agree that there a niche there on the Wii U that is ripe for the taking. In fact, I think a Mario's Football would be just the ticket for the Big N.
Have you played Backbreaker? I loved the original Blitz in the arcades and I remember when Backbreaker released and I was interested in it, but like so many other games, it was got washed away in the flood of releases. I even have a short video clip embedded in it that I recorded of the trailer and a quick play, but for some reason the video isn't working properly now. If a company decided to get the NFL license and do an "official" game without the names, one solution could be an easy customization system in the game. Where you could rename players, and they could probably do overall team rankings, just not individual. Throw a $20 or $30 price tag on it like ESPN NFL 2K5 did, and it could gain some followers. What would be hilarious, and a REAL war, is if Nintendo starting a "Sports" side of their business, and started releasing something like a "Mario's NFL Football" even on the other consoles.......Pachter would be thrilled, not so sure about EA though. I agree on the Mario's Football though, and was thinking that one way Nintendo could have helped sell more copies of Madden on the Wii U (besides that commercial idea), would have been to let EA or HELP EA include some Nintendo/Mario theme in the game for kids. Kind of like Nintendo let Namco do costume stuff in Tekken Tag Tournament 2 on the Wii U. "Madden and Mario team up for a kid friendly backyard football option." Or, something like that. The Backyard Football series was actually pretty popular on the Wii, and the engine already done. But, this is something that Nintendo should have started immediately when EA said no Madden on the Wii U this year. Instead, they give Wii U owners Tecmo Bowl, and as @Chalgyr said on his site (I think), it's not Super Tecmo Bowl, which had more options/features. Are you playing anything currently on the Wii U you're really enjoying? On the 2DS, I think as long as they are making about the same amount of profit on it as they are on the 3DS systems, Nintendo will keep it around. I even said on Twitter to another person, that I think Nintendo will eventually have the 2DS at $99, and lower the other two 3DS systems by at least $20-30. Ah! I'll be getting Backbreaker on my iPad for sure now! Thanks for letting me in on that one man! VG Chartz shows that the console release sold roughly 300k combined, so that really isn't too bad for a non-licensed NFL football game, in my opinion. I think I may have read your review when it was published actually! I originally had a 3DS reserved, but cancelled it, so I did follow a lot of the launch games pretty closely. On the NHL side and soccer, Nintendo has been working extremely close with Next Level Games for the last several years. Next Level Games did one of the NHL Hitz games, and then did Mario Strikers Charged for the Wii (and the GameCube one before that), and then Nintendo let them do Punch-Out!! and most recently Luigi's Mansion: Dark Moon. So, Next Level Games has sports games experience, but Nintendo has been using them for other things for the last 5+ years. Being that they are in Canada, I would imagine they enjoy the NHL...just a little bit. And you're spot on - it would indeed be Corbie that I was referring to. He does still write for Nintendo Life, but he is now also on the Nintendo Force team as well. He's been taking a bit of a break recently, but I'm sure it won't be long before he is back at it in full steam once again. It is bloody brilliant, I tell you. Every time this magazine lands in my mailbox, I swell up with pride, as I was one of the very first to subscribe to the magazine. It is so well done and this past month's cover art is stunningly beautiful! Sorry, I missed your reply Robert. I am familiar with Nintendo Force. Don't subscribe though, because I'm cheap and I don't really do video game magazines anymore, even though I know several of the people associated with the magazine. I did buy the first charity edition of it though, in the digital format before they had the subscription model worked out.